The analysis of the environmental conditions in 2Section .2.2 shows that logistics managers increasingly face new difficulties when making business decisions. Fierce global competition, rapid changes in the environment or intensive use of new technologies are just three causes. The economic environment for LSPs can be described by the characteristics of rising diversity, increased complexity, greater uncertainty and stronger demand for adapting to change than ever before. Therefore, managers need a clear framework which allows them to analyze their company and to decide on specific business issues and changes in the context of the environmental conditions. 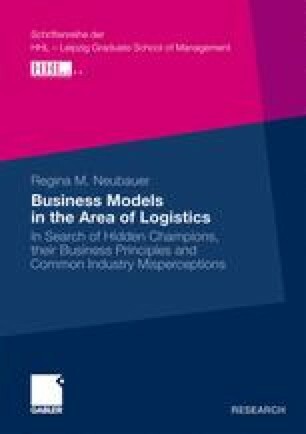 Taking into account the environment and possible approaches for analyzing companies in this chapter, I defined the business model as a framework that helps managers to understand their business. By studying single business model components and their interrelations in the current state as well as by making changes, the tool is designed to enable managers to learn about business opportunities and to adapt to environmental changes.